I owned both starblazers, Legends of Angelea, spirit of the Century and Dresden files , but due to a fire days before we where to move out of our old rental home in Dresden Ohio May the 18th 2012 , I lost my pet Nou face and our whole 30 years gaming collection and of course everything else , but my wife and children and my self got out with out injury. 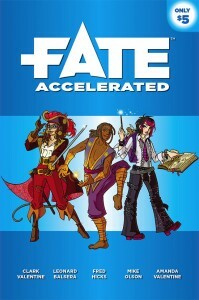 I used those fate games systems for all my games, and glade you guys released this new book even blessed kind of, because I missed your guys stuff. thanks guys for letting me view it now and pay later. that shows a lot of faith and I for one am not going to let you down.even if it going to take me sending you guys ten dollars a pay week for the next 40 days I am on it! Is there any difference between these files and the ones that went out to Kickstarter backers a few days ago? 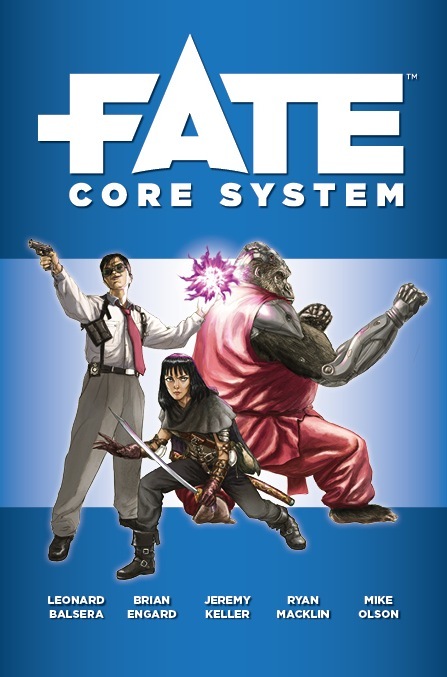 Yes, these files contain a few corrections (an updated GM’s fate points sidebar in FAE, a corrected example in Fate Core) compared to the prior backer’s versions. I hope that when you decide what you want to pay, you err on the side of generosity. The product is good, and needs exposure. Freds put a lot of w\effort into this — reward him! Pay what you want allows me to read the rules and decide whether to play/run before investing. If I end up playing or running the system, I will certainly try to work our some kind of fair recompense. Thank you for releasing it this way. Donated. Thanks for making a cool thing!